INSIDE FREE ME TO LIVE! Field tested now for 22 years! – a complete Bible study of fourteen (14) key precepts designed to wash the hurting person in the Word. 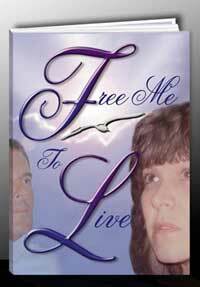 – Free Me to Live provides three key letting go exercises. 1. Forgiving Others – Throwing the stones over their shoulder just as God forgives us. The Course ends with CELEBRATING LIFE – Learning how to live, love and laugh again. 1. A personal, genuine desire to change. Are you ready to seriously change your life. Have you tried other forms of help only to see your pain remain? You must want to change more than you want to stay the same! 3. A genuine personal choice to finish the journey by completing the lessons, personal Bible study, open discussions, and to honestly face yourself.